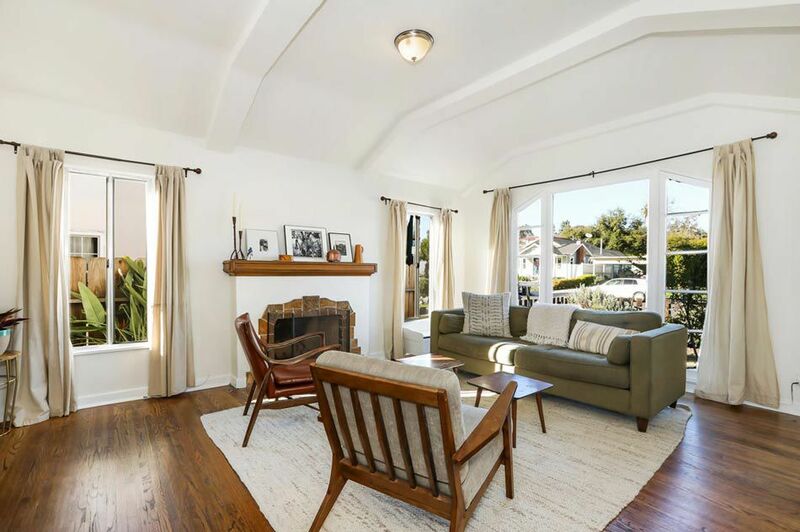 This beautifully updated Spanish circa 1934 places you on a palm-lined street, a stone’s throw from York Blvd. Tastefully renovated with respect to its heritage, the residence offers period details including arched pass-throughs and windows, ornate coved ceilings and vintage hardwood floors. The formal living room is soaked in sunlight; the dining room opens to an updated kitchen featuring white shaker cabinetry and butcher block counters. A wonderful bonus is the finished garage with French doors, recessed lighting and a/c, perfect for your studio, workshop or home gym. Head around the corner to local favorites Donut Friend, Collage Coffee, Joy, Hinterhof, Parsnip and more. 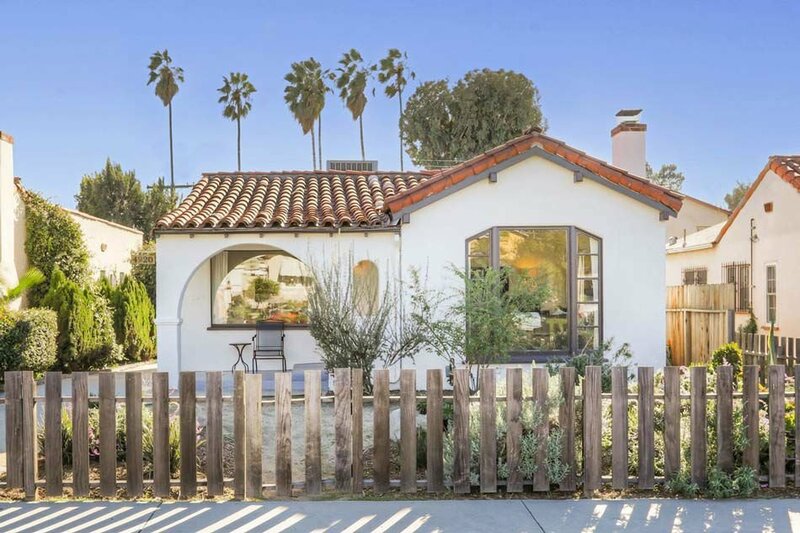 Tucked away from the street, this remodeled Cal Bungalow provides a sense of privacy and lovely hillside views. The airy and stylish home has an open floor plan featuring hard surface flooring, recessed lighting and windows that fill the space with soft natural light. In the updated kitchen find a full-height tile backsplash and abundant counter space to accommodate morning coffee and casual dining.The hardscape terrace is readymade for outdoor dinner parties in a tranquil hillside setting with scenic vistas. The long driveway will accommodate off-street parking for several cars. Just three blocks away is all the action on Figueroa including HiPPO, Home State, Cafe Birdie, ETA and so much more.